When it was released in 2008, the 3-chip LCD Christie LX500 was a fairly impressive piece of hardware. It featured significant brightness, something Christie has built a reputation on, and it was Christie’s “portable” model, at roughly 19 pounds. At the time, those features commanded a $6,495 asking price. My, how times have changed. These days, the Christie LX500 shows its age, which is probably true for most seven-year-old pieces of technology. 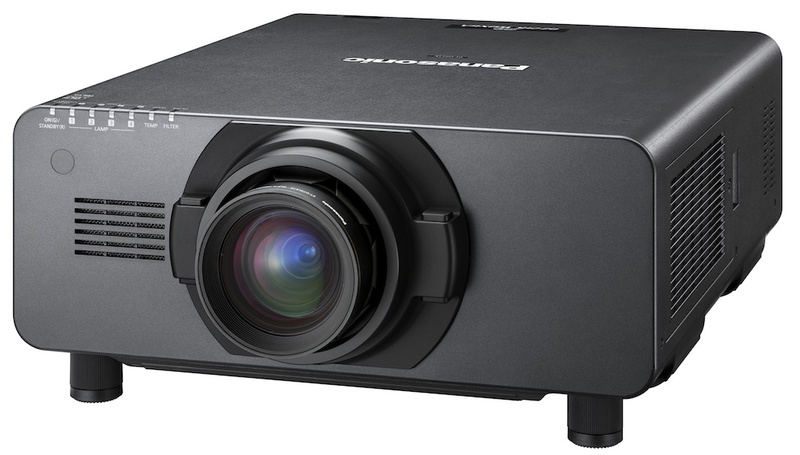 Although the LX500 casts a relatively bright image, it’s bulky and light on features that are commonplace in today’s projectors, like 3D, WiFi connectivity, and HDMI ports. You can find the Christie LX500 online, through sites like Ebay, and they are at a fraction of the original price. But yet, a recent review of online resellers, showed most of the used models available were in the $1,000 ballpark. For that price, you’re better off purchasing a new projector with similar specs. These newer comparable models can be purchased for roughly that price. One thing to note of course, is that Christie always used the finest components when putting together any model, and this is where you might find some differences between new low priced projectors (they cut costs by cutting out the expensive components) and the older Christie models. A Brilliantly Bright Lamp: One of the selling points when the LX500 was released was its brightness. Equipped with a 5,000-lumen bulb – No. POA-LMP116 – the LX500 made for a great presentation tool, capable of displaying crisp images in large, well-lit rooms. At the time that was substantial, but the competition has caught up: the NEC NP-P501X features a similar brightness, with a range of added options, and the machine is sub-$2,000 in price. 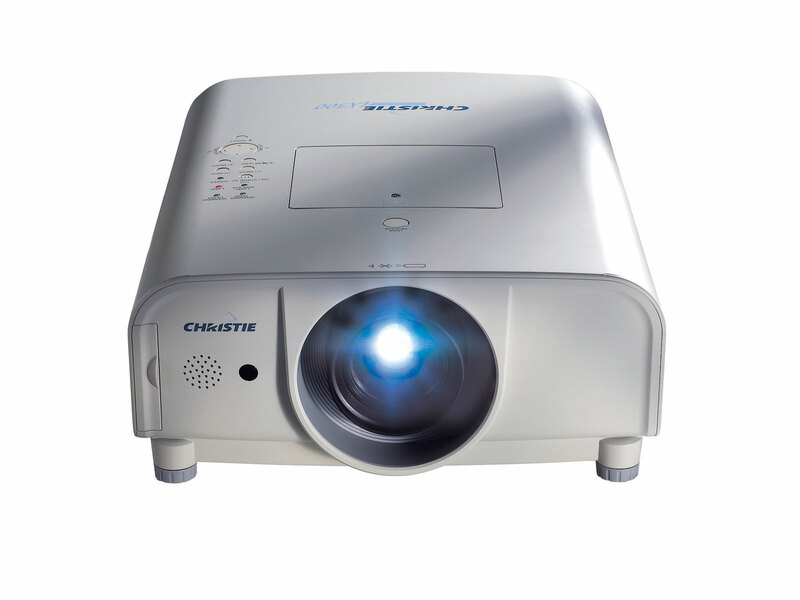 However, the Christie LX500 does come equipped with a high end lens, something low priced projectors do not have. This high end lens combined with the powerful lamp allow for the LX500 to be a great choice for large venues and outdoor events. Broad Range of Input Capabilities: The LX500 features a native XGA resolution in the 4:3 aspect ratio and a 1,000:1 contrast ratio. But it is compatible with a range of formats, including the ability to scale to VGA and UXGA and display video up to 1080i. That contrast ratio is a definitely below-average these days, but the video compatibilities are certainly still useful. Installation Flexibility: With horizontal and vertical lens shift and a long list of compatible lenses, users have options when it comes to installation. Christie labeled the LX500 a “portable” projector when it was released, but at nearly 20 pounds, that label just doesn’t fit these days. This might be a portable for Christie, as they’re known for larger, bulkier set-ups, but today, 20 pounds is far too heavy to be labeled portable. Like any technology that’s seven years old, the Christie LX500 is aging, and compared to today’s state-of-the-art options from Christie, it’s just doesn’t stack up. For that reason, it’s difficult to justify purchasing an older model Christie like the LX500, especially over a more-budget friendly option that’s available today. 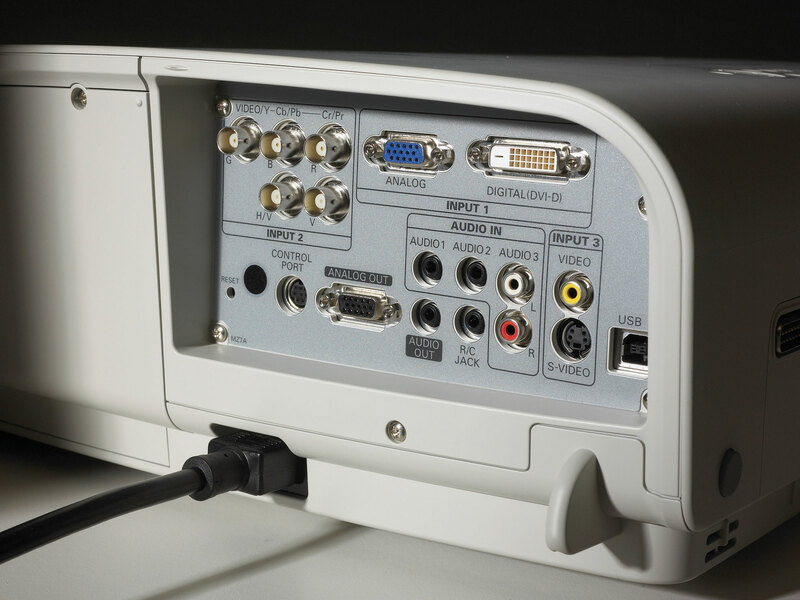 One reason is that there are a range of features that the Christie is missing: HDMI, 3D and cloud-connectivity to name a few. Plus, the set-up lacks an audio system. If you can find a used Christie LX500 for a low used price, it might be worth it, especially if you are working in a large venue where a powerful lamp and high end lens is critical. But if not, you’re probably better off finding a newer, similarly priced projector. 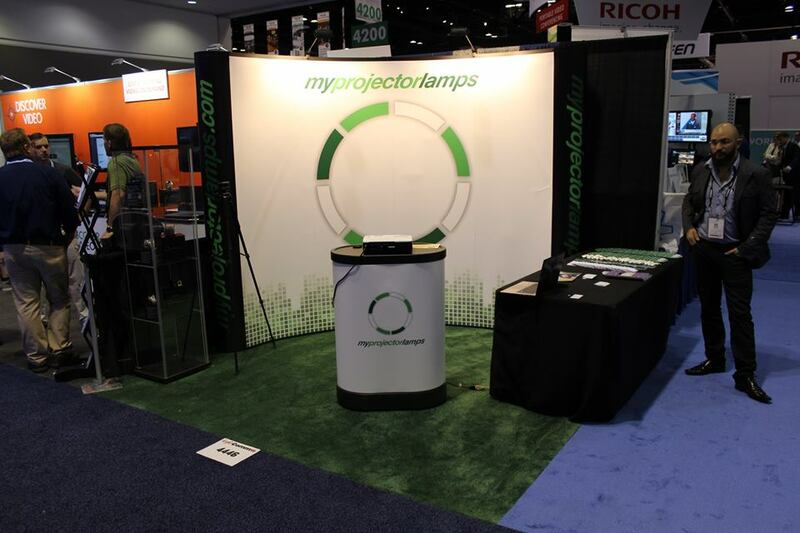 MyProjectorLamps.com is your source for replacement projector lamps. Looking for a replacement lamp for the Christie LX500? We’ve got you covered. 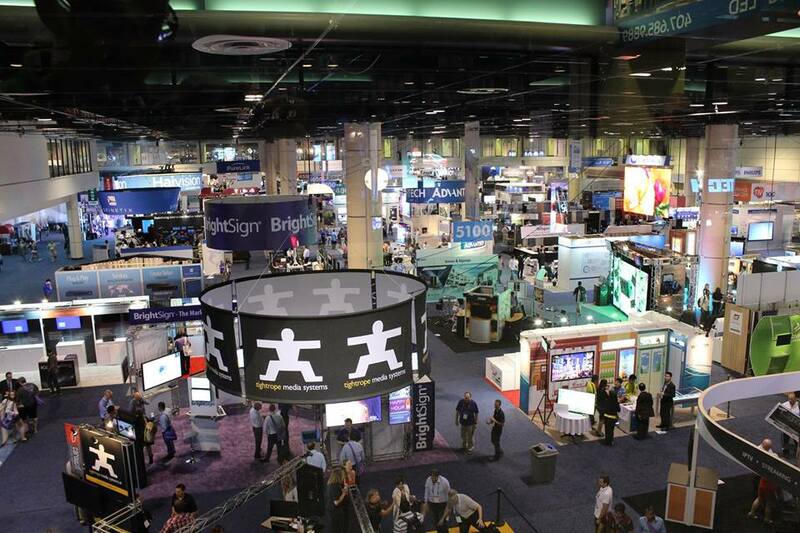 The National Association of Broadcasters’ annual show is always an industry must-attend, as the event is a showcase of the latest and greatest technology related to the A/V industry. This year, the Las Vegas show had plenty of surprises. Next-generation toys like Canon’s line-up of new 4K cameras and 8K televisions from a variety of manufacturers made appearances, as did the latest projectors. Both Panasonic and Christie unveiled their latest entries into the market, and it was a battle of DLP vs 3LCD. Panasonic showed off their latest 3-chip DLP projector, the PT-RZ12KU, which they’re billing as the world’s lightest 3-chip DLP. It’s an impressive piece of hardware, with several advanced features. On the other hand, Christie announced and showcased a new D-Series line of projectors, which feature a newly introduced optional Ultra Short Throw lens. At the show, Panasonic unveiled two new DLP projectors, including the aforementioned PT-RZ12KU and the PT-RS11KU, an SXGA+ resolution set-up. First up, the PT-RZ12KU is bound to be a favorite in sports production, event spaces and digital signage, and it drew the most headlines from Panasonic’s NAB Show rollouts. 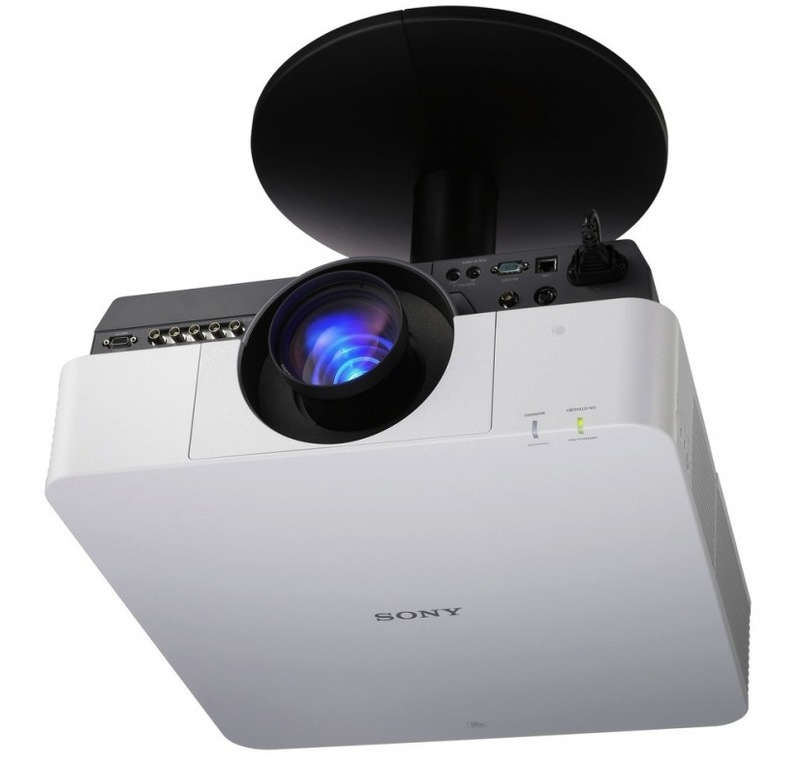 The projector PT-RZ12KU features an ultra-bright 12,000-lumen lamp with WUXGA resolution (1920×1200). Plus, not only does the set-up weight just about 95 pounds, but it also has an improved 120 Hz refresh rate, which is ideal for high frame-rate content. Additional eye-popping specs include the projector’s 20,000:1 contrast ratio, which delivers impressive detail, and vertical, horizontal and tilting lens adjustment capabilities. The other projector, the PT-RS11KU features a similar list of features. It’s equipped with a 12,000-lumen light source, yet, the biggest difference is in resolution. The PT-RS11KU is a SXGA+ resolution projector, which is a 1400×1050 resolution. You don’t have to wait long for these set-ups to hit the market either; both are set to come online in just a few months in the summer. Christie had quite a few new projectors to unveil at the NAB Show, including five new replacements for existing set-ups. The Christie has dubbed the new line the D-Series, and the set-ups feature a range of three native resolutions, including XGA, WXGA and WUXGA. Christie’s new set-ups utilize different technology, compared to the Panasonic. Here are some D-Series specs: The projectors, which are 3LCD single-lamp projectors, feature brightness ratings ranging from 6,000 to 8,000 lumens, and they feature a 10,000:1 contrast ratio. The D-Series will hit the market in fall 2015. Another exciting rollout was a new Ultra Short Throw lens. Featuring a 0.38:1 throw ratio, the Christie UST lenses will be available for both D-Series and Q-Series projectors. Of course, the biggest advantage of the UST lenses will be set-up flexibility. The shorter throw ratio enable the projectors to be set-up closer to the projection surface, which is ideal for presentations, museum set-ups and rental staging applications, as it diminishes the likelihood of shadow casting.